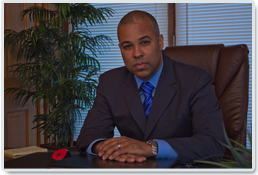 If you are looking for the best criminal defense attorneys to represent you, Enrique Latoison is the man to call. He is the founder of Latoison Law Firm in Pennsylvania and he represents a large area of defense. He is one of the top criminal defense attorneys in his field! No matter your need or your situation for a criminal defense lawyer, Mr Latoison can help you with your case. They don’t call him the best criminal defense lawyer for no reason. He provides you with the most professional, prompt, and courteous service you could ever ask for. Mr Latoison understands that how he represents you is a reflection of you choosing his service. He will keep you informed every step of the way with what is going on in your legal case and he will give you his 150% best. If you have a legal case pertaining to the following, give Latoison Law Firm in Pennsylvania a call and let them get the ball rolling for you! If you have a court hearing, Mr Latoison can take care of this for you. There is no need to worry yourself to death. When it comes to court hearings, Latoison Law in Pennsylvania will help you with Parole Hearings, Support Hearings, Expungement Hearings, Traffic Hearings, and Bail Hearings. If it is a hearing, call Enrique Latoison and let him handle it for you! He is one of the top criminal defense attorneys, and he can take the stress off of you. No matter the reason for court appearances, Mr Latoison can help you with that also! He can help you with District Court, Court of Common Pleas, PFA Court, and Eastern District Court. Court appearances should not be attended without an attorney if you intend on winning, this Pennsylvania criminal law defense attorney knows what you need and how to handle the courts. So, if you have to make any kind of court appearance, call the Latoison Law Firm. If you have to attend court for a Gag I or II hearing for violation of probation or parole, let Enrique Latoison help you. There is no need to fight the judge, the district attorney and the parole officer alone when it comes to your freedom when you have Latoison Law Firm that will do it for you. If you have a Gag hearing, let them handle it. 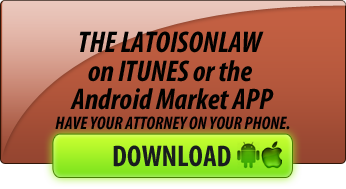 The Latoison Law firm will advocate for you. Has a Bench Warrant been issued against you? Well, there is no need to sweat that either. Latoison Law Firm has handled many clients who have had Bench Warrants issued against them and they know how to defend their clients. Don’t go into hiding, don’t lose sleep over this, let these Pennsylvania criminal defense attorneys from the Latoison Law Firm do the fighting and worrying for you. Let the Latoison Law Firm get your bench warrant lifted! Did you loose your summary case and was found guilty at District Court? It’s time to appeal your case to Court of Common Pleas. You don’t have to go alone. This defense attorney from Pennsylvania also has experience in these types of situations and can handle your Summary Appeals for you. Give them a call and ask them to help you. You will receive the utmost respect from them and you will be kept informed of what is going on. Your defense will be ready to overturn your guilty verdict from District Court! If you are trying to get a motion to suppress granted for an illegal stop, an illegal search, or illegally obtained statements, this fine Pennsylvania criminal defense attorney can definitely help you. You don’t have to fight the courts with Latoison Law on your side. They can help you with any motion to suppress case. If you don’t see the defense service you need on this list, you can call the Latoison Law Firm or send them an email to see if they can help you with your case. They specialize in just about every type of defense case, so your case should fall under one of the categories above. You cannot go wrong with this Pennsylvania defense attorney. He has been practicing law for some time now and he surely knows what he is doing. And he also understands that bad things sometimes happens to good people.